Yes that’s right, according to Nationwide Building Society Manchester has beaten London in the 2013 property price growth race with property values rising 21% over the year. London was held to second place and Brighton bagged the bronze medal in third place with a growth of 12%. London seemed like the most talked about city in 2013 with regards to the housing market but its property values only rose between 13% and 14.9% depending on which measure was used by Nationwide. 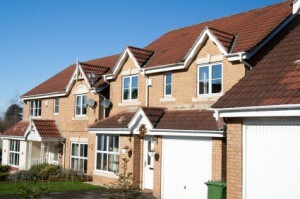 The average house value rose by 7.1% across the UK and ended 2013 with an average value of £174.444. What doesn’t quite add up is the fact that the North of England along with Scotland only managed an annual price increase of 1.9% and 3.7% on average but Manchester, especially the areas covered by the City Council came out as having the highest price growth in the country. The average house price in the city of Manchester at the end of 2013 was £209.627 which exceeded the annual rise of Greater Manchester at just 5%. Glasgow and Edinburgh were named the worst performing cities with annual increases of only 1% and 2% but the cities that have been recognised for their strong price growth were Birmingham and Leicester which rose 10% and 11%. Did you expect Manchester to be the best performing city for property prices in 2013 over London?